This event, organised by Xpand IT, aims to join all community interested in Atlassian solutions. This year’s agenda will feature the new product features, great add-ons, agile methodologies and customer success cases. 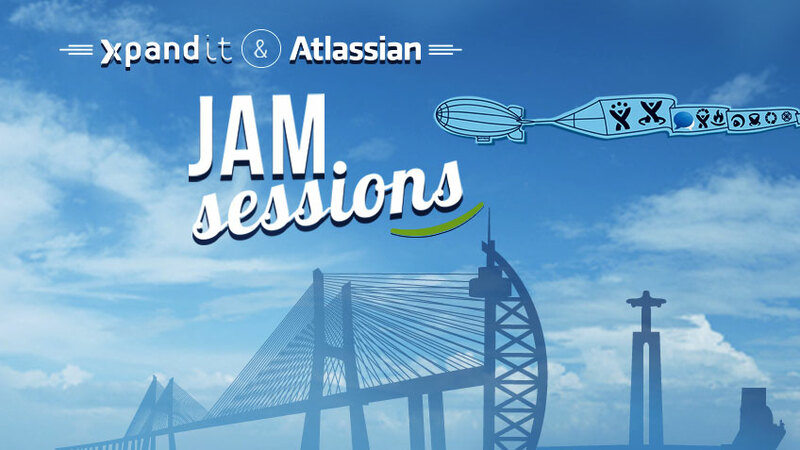 Xpand IT – Atlassian Expert since 2007, a global company specialised in Enterprise Mobility, Business Intelligence, Big Data and Middleware, and Atlassian – the leading enterprise collaboration software company, today announced the Xpand IT & Atlassian Jam Sessions. This initiative aims to create an informal atmosphere to introduce the greatest Atlassian news, share experience, networking and some of the best customer success stories. The event will take place at Altis Belém Hotel & SPA – Lisbon, during the next 15th July between 14:30 pm and 19:00 pm. Registrations are free. Participants will have the chance to attend 9 sessions, divided into 3 main topics. In the first part, will be introduced the latest Atlassian news with special focus on Confluence and JIRA platforms. In the second part, the focus will be on some of the most popular add-ons to extend Confluence and JIRA, which are now used for some of the most recognised companies in the world. Finally, we will introduce some customer success cases in several industries, including leaders and executives from some of the largest Portuguese companies. After the presentations, there is scheduled a 30-minutes of networking time. In this live seminar will be discussed the new solutions and methodologies that companies can use to improve their agility and business innovation. More than 33.000 organisations like Coca-Cola, e-Bay, CitiGroup or United Airlines are using Atlassian solutions for issue tracking, collaboration and software-development products to work smarter and deliver quality results on time. With several customers around the world, Xpand IT create several reference add-ons like Xporter for JIRA our Xray for JIRA, used by several Fortune 500 companies. Atlassian products help innovators everywhere plan, build and launch great software. More than 33,000 large and small organisations – including Citigroup, eBay, Coca-Cola, Netflix and United Airlines – use Atlassian’s issue tracking, collaboration and software-development products to work smarter and deliver quality results on time. Learn more at http://atlassian.com.